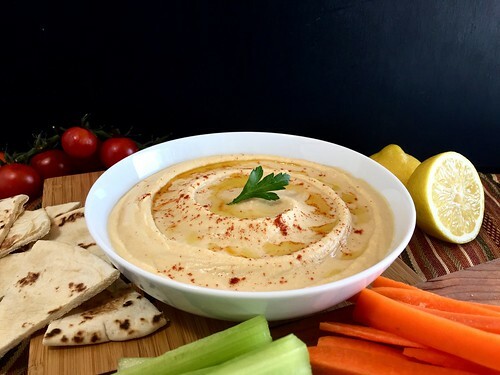 There is nothing that compares to homemade hummus, and this classic recipe is so simple you can make it in less than five minutes. 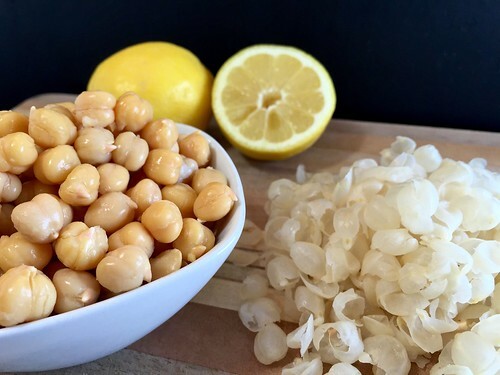 Freshly squeezed lemon and raw garlic combine with the nuttiness of tahini and tender garbanzo beans to give this Middle Eastern spread a sharp, bold flavor that just cannot be found in store-bought hummus. It is extremely addicting and easy to prepare, but since it is so healthy you can enjoy this delicious vegetarian appetizer anytime. 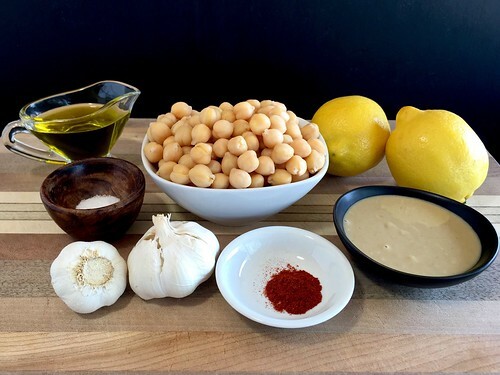 While some hummus recipes use only a tablespoon or two of lemon juice, we generously add a third of a cup, which should come as no surprise, as the extra splash of citrus deepens the flavor and brings out the sharpness of the garlic. Also, we recommend serving it at room temperature, as the bright flavors and creamy texture are best when fresh. If you would like an even lighter texture and have a few extra minutes, peeling the garbanzo beans will give you a silky smooth result. This is much easier than it sounds, since the beans slip out of their loose skins with just a gentle squeeze. But whichever method you decide, this hummus is excellent either way. But the real secret ingredient we use is a Spanish spice called Pimentón de la Vera, a type of paprika made from hand-picked chiles which are dried slowly for several weeks over an oak-burning fire, resulting in a deep crimson color and a tantalizing smokiness. This irresistible flavor is the perfect final touch, and since it is available in many stores and online, it is an easy spice to keep in your kitchen along with the other ingredients. 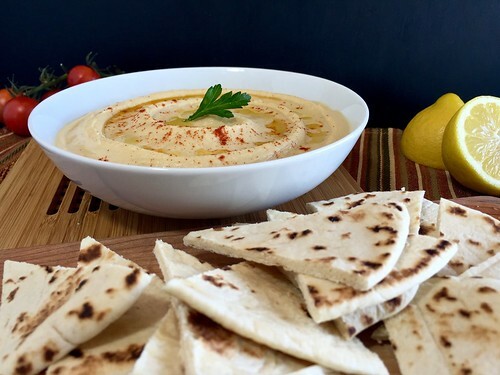 That way, whether you get unexpected guests or simply an afternoon craving, this classic hummus is just five minutes away. 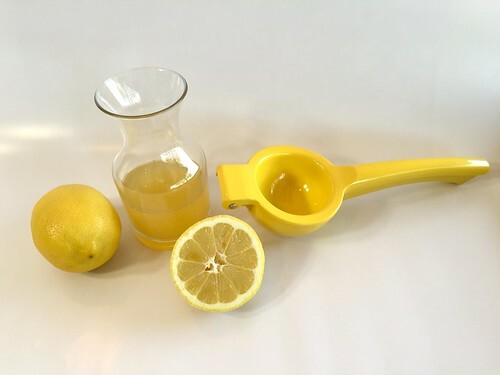 In a food processor or blender, combine the beans, lemon juice, tahini, garlic, and salt, and blend briefly. Then, with the machine running, slowly add the olive oil, and continue to blend until smooth and creamy. Transfer to a bowl, and top with a drizzle of olive oil and a few pinches of smoked paprika. Serve at room temperature. — Peeling the beans will result in a smoother texture, but is not required so feel free to skip it. To peel them, place a bean between thumb and forefinger, and gently squeeze the bean out of the loose skin. Repeat with the remaining beans, and discard the peels. — Smoked Spanish paprika, also called Pimentón de la Vera, adds a delicious smoky flavor and is available in many grocery stores and online. You have done such a great job with this site. it is so elegant and simple to read. 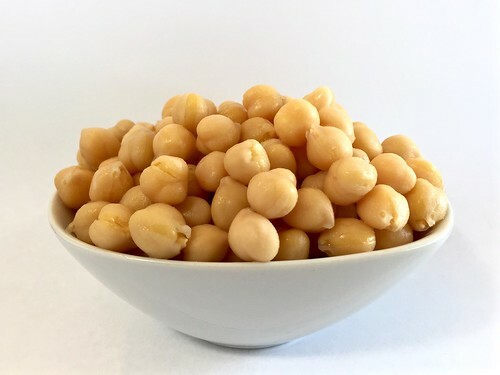 Fun Fact *** Take all the chick peas (garbanzo beans) and put them in a plastic container with lid. Add enough water to cover beans and at least an inch more. Cover container and SHAKE the heck out of it. The skins will come off and kinda float to the top…. drain and repeat as necessary. I can’t wait to make this.!! Thank you, Mary! We’re so glad you like the site! That is a fantastic idea for peeling the garbanzo beans! We have never tried that technique, but we definitely will now. That sounds so easy! Thanks for the wonderful tip!